“I think that all of our energy subsidies need to be relooked at today and eliminated,” Palin told RCP during a quick stop at a coffee shop in this picturesque town tucked into the south-central Pennsylvania countryside. “And we need to make sure that we’re investing and allowing our businesses to invest in reliable energy products right now that aren’t going to necessitate subsidies because, bottom line, we can’t afford it. …Mitt Romney, who will announce his candidacy Thursday and is considered the front-runner in the GOP field, said last week in Iowa that he supports ethanol subsidies. But Palin differs, saying, “We’ve got to allow the free market to dictate what’s most efficient and economical for our nation’s economy. No, at this time, our country can’t afford the subsidies. If she truly means what she says here, its refreshing, though she can’t seem to decide if subsidies are bad because they’re inefficient or because we’re broke. Unfortunately, in the past, she has said a number of bizarre things about foreign oil (and here). 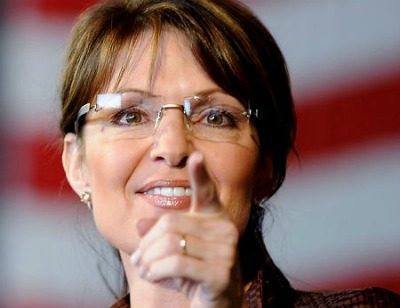 Of course Palin’s grand, multi-state tour is being financed by the Committee to Re-elect Barack Obama.